Here at Nechstar, we want to introduce and review gadgets that provide great performance and don´t cost a fortune. This is our main goal. That´s a reason, why have reviewed countless amounts of devices from companies you never heard of. Because they are changing the tech game! Gone are the days, we have to go out and spend $100 or $200 for a good product. Now you can find great products that cost 50%-70% less and offer an above average performance. 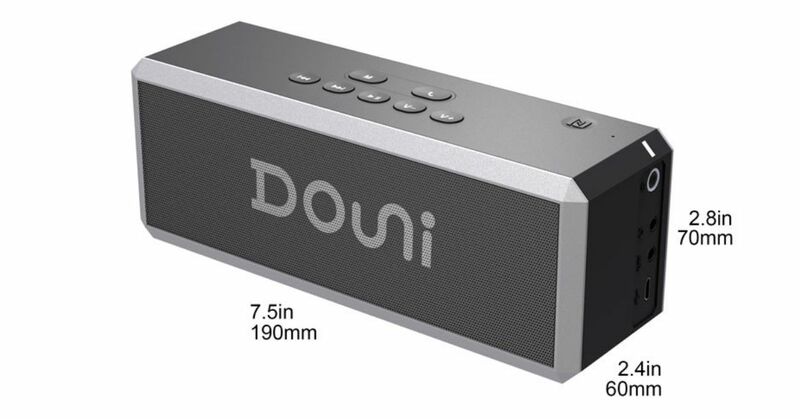 And Douni A7 Bluetooth speaker is one of these devices. At the beginning we have to say, the A7 is a fantastic gadget. This 20-watt portable Bluetooth speaker has features you would expect to come with a device with a price around $100, but at the time of this review, it is currently available under $50 on Amazon. In terms of design, don’t expect anything unique, this bad boy looks very similar to many other portable speakers. Don´t get us wrong. We know very well that the A7 is designed with the portability in the mind. The Douni A7 is a small, pocket-sized gadget with a compact design ideal to be taken wherever you go. The illuminated buttons (great looking in the dark) are placed at the top, so you will have good control about your track or sound volume. Plus you get a dedicated button to place and end phone calls. In addition to this standard button layout, the device offers an “M button” that allows you to pair the unit with another A7 speaker which we find interesting. There is a catch. 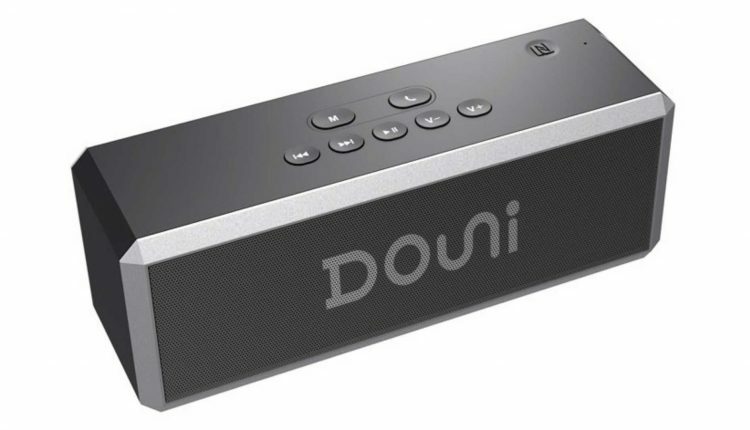 The Douni A7 can´t give you a sound performance of high-end ($100+) Bluetooth speaker. The feeling you are immersed in your favorite song and enjoying all the details of it… Not the A7. 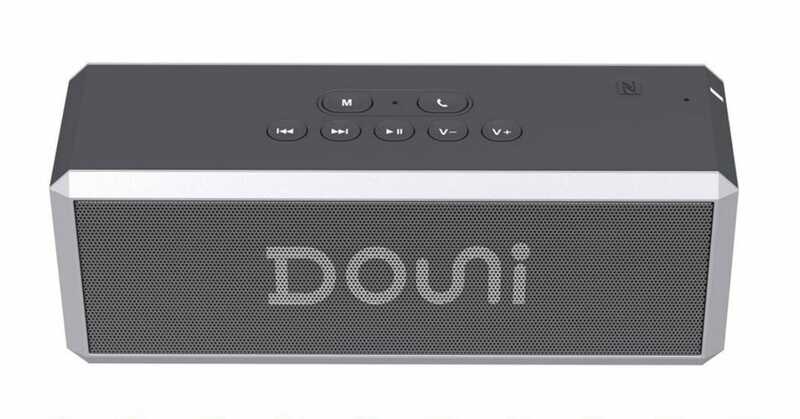 But, if you need a speaker for your little house party or a unit you can take to the beach or just with you than the Douni A7 will definitely exceed your expectation. The dual 10W drivers deliver powerful audio with vibrant, rich bass and crystal clear highs which can fill an average sized room with pretty good sound. One look at the side of the A7 and you see a power button, a port for headphones, an auxiliary port, and a USB-A port to charge with a Micro-USB cable (included). The battery life of Douni A7 is pretty solid. The speaker is equipped with a rechargeable lithium internal 2x2200mAh battery that offers almost 7 hours of your favorite music. without fearing the need to recharge the speaker. This Douni A7 Bluetooth speaker is a great choice if you are on a budget. Maybe cheap, but the A7 can still beat a lot of competitors in the $100+ range with its sound quality. The sound performance is really good for the size and cost and makes the speaker ideal for small rooms or a pool party. This is one speaker you don’t want to miss. Cambridge SoundWorks OontZ Angle 3 – An easy-to-use speaker and for the price, a great choice. Easy to charge and simple to connect with any auxiliary cable. Full Cambridge OontZ Angle 3 review. Maybe cheap, but the A7 can still beat a lot of competitors in the $100+ range with his sound quality.